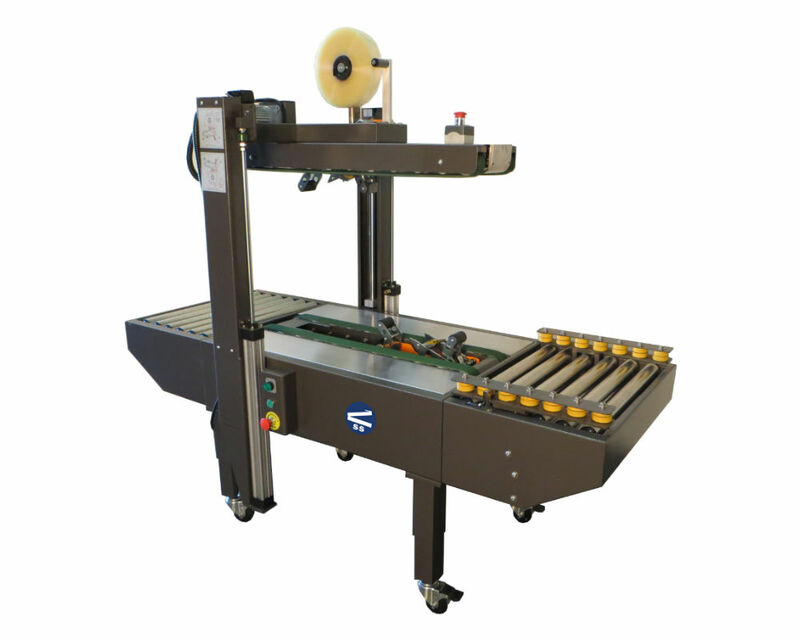 CS-20225R Carton Sealer — Sealer Sales, Inc. 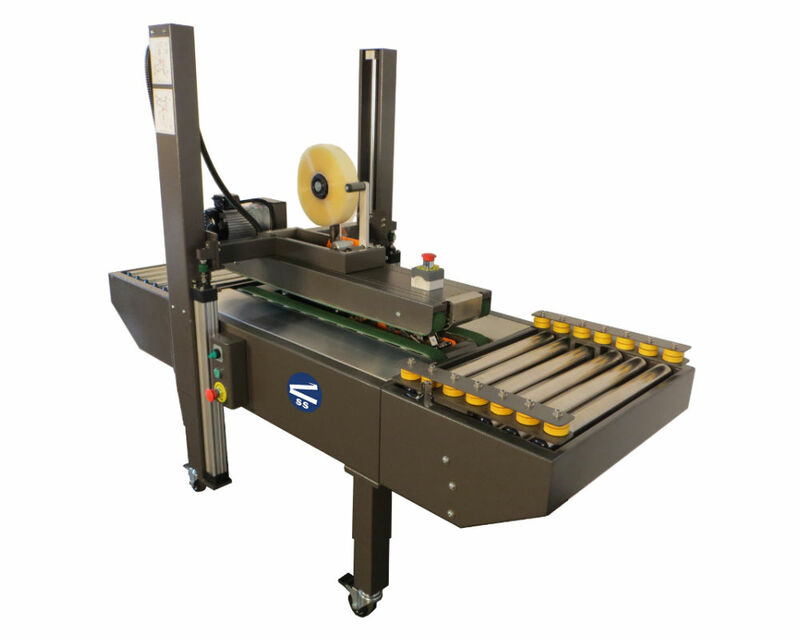 The operator simply packs the corrugated carton and feeds it into the machine. A photo-eye activates the box centering device, the operator pushes the box against the top tape head switch and it will move upward to seek the box height. 2 top and 2 bottom drive belts turn on and drive the box through the machine. The CS-20225R applies a single tape strip to both the top and bottom of the case simultaneously. This 4-belt drive design is a heavy duty versatile machine designed for dependable performance and easy operation. The CS-20225R will easily adjust in seconds to process a different size carton. Excellent for all types of boxes.